As I’m sure you can tell, I love a good lightweight trench. They’re the perfect layering piece and look chic no matter how you style them. Since my obsession started last fall, my collection is quite large at this point. 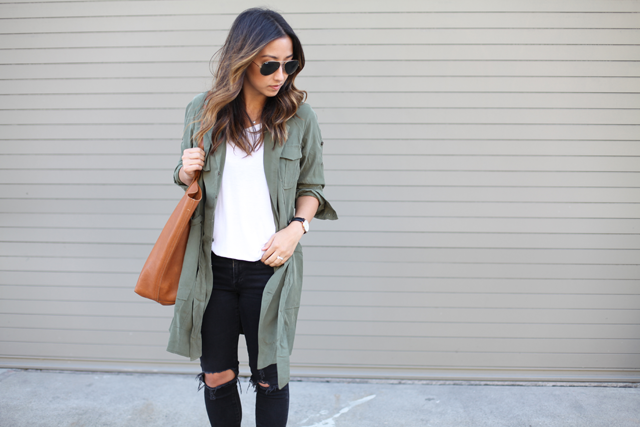 This Banana Republic trench is my latest victim and I love it! I mentioned here that it’s actually sold online as a trench dress. Thankfully I saw it in-store styled as jacket, otherwise I don’t think I would have ever picked it up. What really sold me was the fit. The 00P fits perfectly, so no alterations (yay!). Originally, the jacket/dress was sold only in petite sizes, but it looks like you can now get it in regular sizing as well. Sizes are selling out fast, so if you’ve been eyeing it, be sure to swoop it up. I’ve rounded up some of the best lightweight trench coats under $200 below. I loooooove your blog! Can you do a blog post on your hair, as far as cut, color, styling goes? Also products? I’d love to know where you get your hair done! Loving this look! It’s the perfect look for this time period! 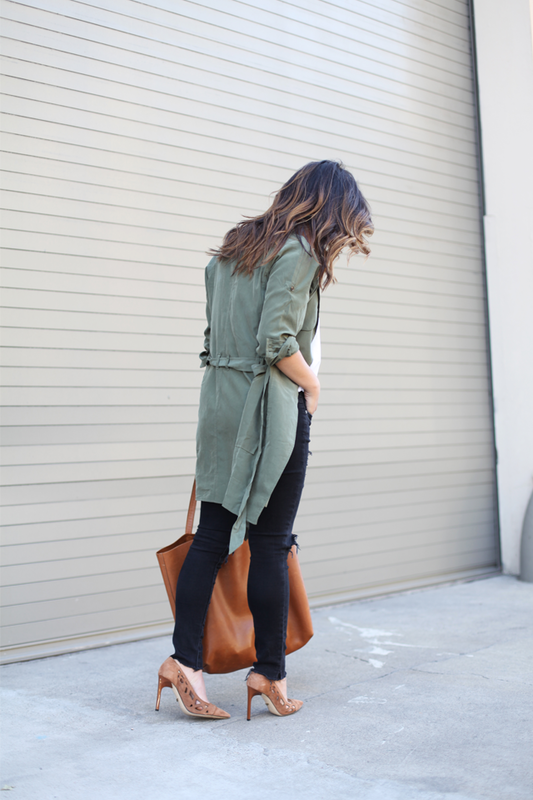 I looove your blog…I have a question about that trench from Banana Republic…which size are you wearing? Thank you for your answer.